Oscar, KY, Jack Owsley Cooper, age 91, died Wednesday morning, March 20, 2019 at 2:08 a.m. at Life Care Center in LaCenter, KY. 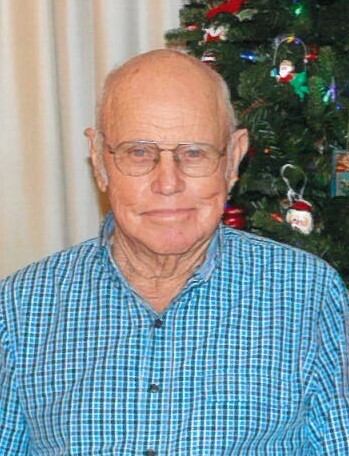 He was a member of Oscar United Methodist Church, and was a dairy farmer in Ballard County for several years. He was on The Board of Directors at First National Bank in LaCenter, KY for several years. Jack is survived by two daughters; Connie Burnley (Charles) of Kevil and Jackie Flowers (Joe) of Oscar. Five grandchildren; Jennifer Pickett (Brad),Walt Burnley (Valerie), Jeana Williams (Todd), Stacey Irvin, and Clint Flowers (Tracie). Ten great grandchildren; Logan Pickett, Neely Williams, Jordan Pickett, Chloe Irvin, Tinslee Williams, Wendy Burnley, Lacey Burnley, Jacob Irvin, Eli Flowers, and Grace Flowers. Three brothers; John Forrest Cooper of Oscar, Tom (Agnes) Cooper of Lexington, KY, Ed (Dorothy) Cooper of Oscar, KY. Two sisters; Carolyn (Chalen) Gordon of Oscar, and Dorothea Ann Pettigrew (Vann) of Bolivar, TN. He is preceded in death by his wife of 67 years Merlene Hall Cooper, and a great granddaughter Morgan Pickett. His parents were Clarence and Lois (Owsley) Cooper. Visitation will be Thursday, March 21, 2019 at Morrow Funeral Chapel in LaCenter, KY from 5-8 p.m. Funeral Services will be Friday, March 22, 2019 at 11:00 a.m. at Morrow Funeral Chapel in LaCenter, KY with the Rev. Robert McKinney and Rev. Kenny Locke officiating. Interment will follow at Oscar Cemetery. Memorial contributions may be sent to Gideons International P.O. Box 10 Kevil, KY 42053.